new First translation of the rules now available on the website! new 48105 Jack Miller: NEW CHARACTER OUT NOW! new New characters on the way! new now available: high quality punchboard tokens! new More new characters are now available for 1-48TACTIC! 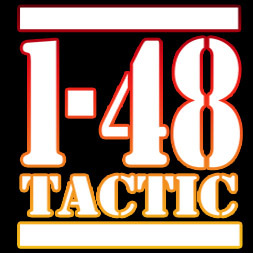 new Welcome to the brand new 1-48TACTIC forum! Only admin can post here!